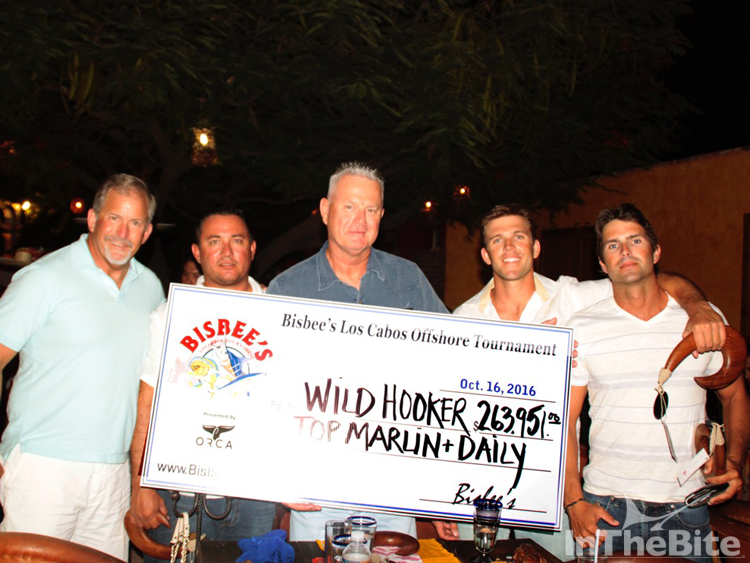 From its humble beginnings more than a decade ago as a simple get-together for alumni winners, the Bisbee’s Los Cabos Offshore Tournament, presented by Or-ca Coolers, has grown into a world-class event that showcases top angling skills and serious prize money. The 2016 edition, which concluded Sunday night, is a perfect example. A total of 108 teams competed for more than $772,000, with several teams earning impressive payouts for their fish. The two game fish categories—tuna and dorado—proved lucrative as well. 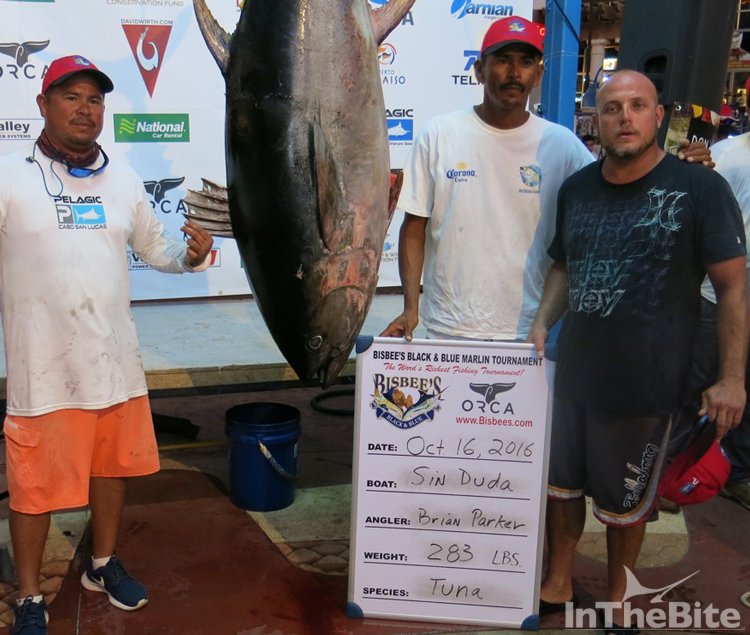 Fran-cisco Rochin and his Sea Fever team mates are sharing a tournament record payout in the dorado division when the prize money rolled over with no qualifiers on Saturday. The team’s 32.4-pound dorado, just 2.4 pounds over the minimum weight, was worth a whopping $93,230. Brian Parker and the Sin Duda crew waited until the last moment to weigh their fish Sunday night, but good things came from it. The 283-pound yellowfin paid out $57,955 for the overall heaviest tuna and Sunday’s daily prize money. North Star (with James Rosenwald on the rod) is taking home $35,275 for landing Sat-urday’s top yellowfin, a 224-pounder. In the tight Release Division, Sea Angel emerged triumphant after releasing four blues and one striped marlin, good for 1,300 points. That effort won the Texas family team $50,830 in prize money. Team Galati won second-place release honors and $17,595, while Pocket Aces rounded out the standings, good for $9,775. The high number of juvenile blue marlin encountered by the fleet will cer-tainly pique release competition in this week’s Black & Blue. The less-fortunate children of the Los Cabos region were benefactors as well. Thousands of pounds of the weighed fish were donated to the Feeding Los Cabos Kids charity, which provides high-protein meals through support centers in the local barrios. The LCO is part of a series of three Bisbee’s events in Baja California Sur. The East Cape Offshore, with a similar billfish/game fish format, is held every summer at the Hotel Buena Vista Beach Resort. The Black & Blue Marlin Jackpot Tournament, the richest fishing event in the world, starts Tuesday, October 18, in Cabo San Lucas. The B&B is limited to black and blue marlin only, with well over 100 international teams expected to compete for millions in prize money.